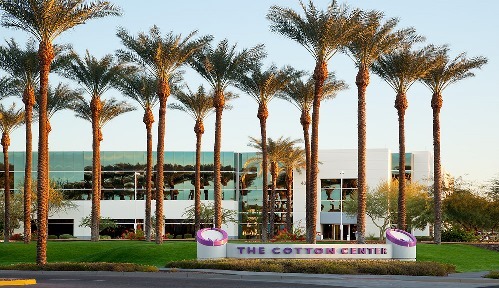 Cotton Corporate Center Office, Phoenix, AZ – This two-story office building totaling 116,858 square feet is located within the premier Cotton Center Business Community in the heart of metropolitan Phoenix. Amply parked at 6.5 / 1,000. 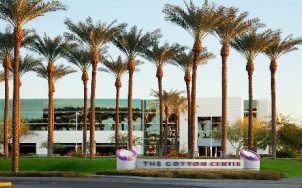 Located just two miles from Sky Harbor International Airport, the buildings enjoy excellent access to Interstate 10, SR 143, and US 60. 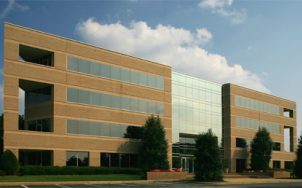 Corporate neighbors include CVS Caremark, Freeport McMoran, Aetna Insurance, Siemens Technology, United Healthcare, Progressive Insurance, GE Medical, and Shutterfly. Please contact Bob Olshan at 602-288-3836 for additional information.